Congratulations to our patient Breanna on winning a new Nintendo Switch!! 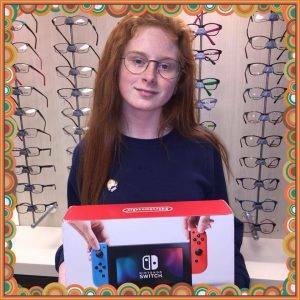 Home » News » Congratulations to our patient Breanna on winning a new Nintendo Switch!! She was entered into our draw after purchasing her new Moleskine frames.